Steven Seagal wears Oakley Whisker glasses in End of a Gun. 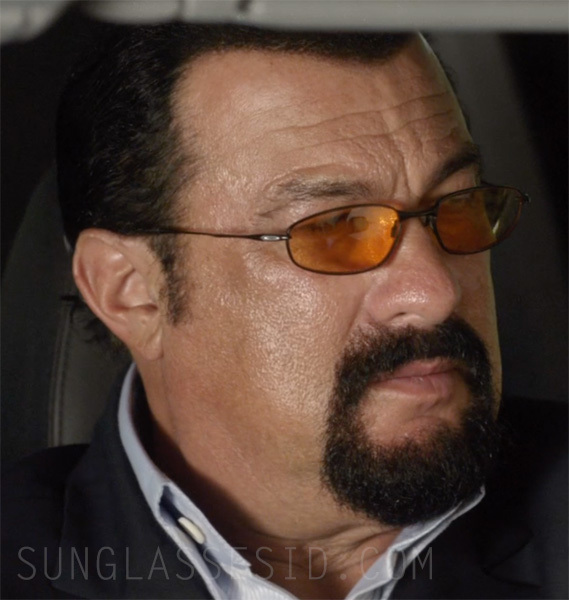 Seagal wears the same glasses in the action films Code of Honor (2016), Absolution (2015) and in The Perfect Weapon (2016). These wireframe glasses from Oakley have a black frame and (custom) dark bronze lenses. The Whisker is not available anymore on Oakley.com but you can find the frame on FramesDirect.com or there's a large selection on eBay. Find special lenses for the Whisker on Amazon.com. End of a Gun is a 2016 action/crime film about a mall security guard (and former federal agent) crosses paths with a drug kingpin's enforcer after he saves a woman from danger. The film is directed by Keoni Waxman, and stars Steven Seagal, Alexandre Nguyen, Ovidiu Nicolescu, Claudiu Bleont and Jade Ewen.